Looking for your new favorite side dish or even an entree? 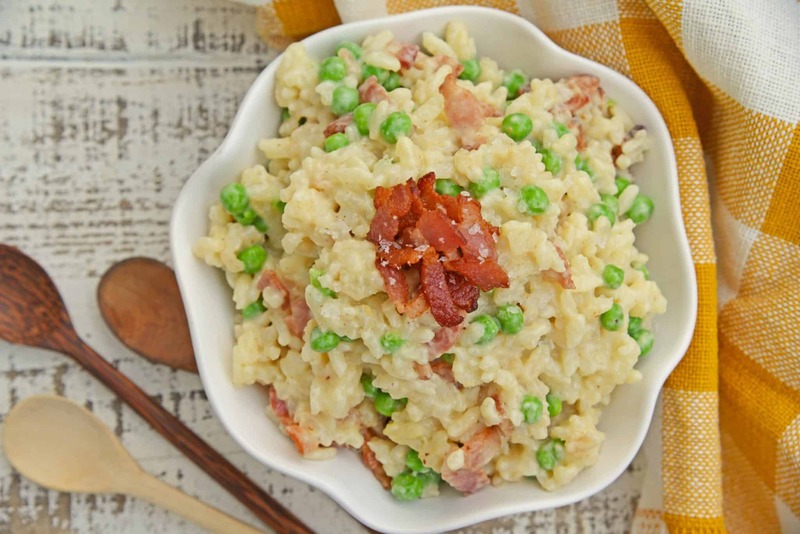 Creamy Parmesan Risotto with Peas and Bacon is your answer! 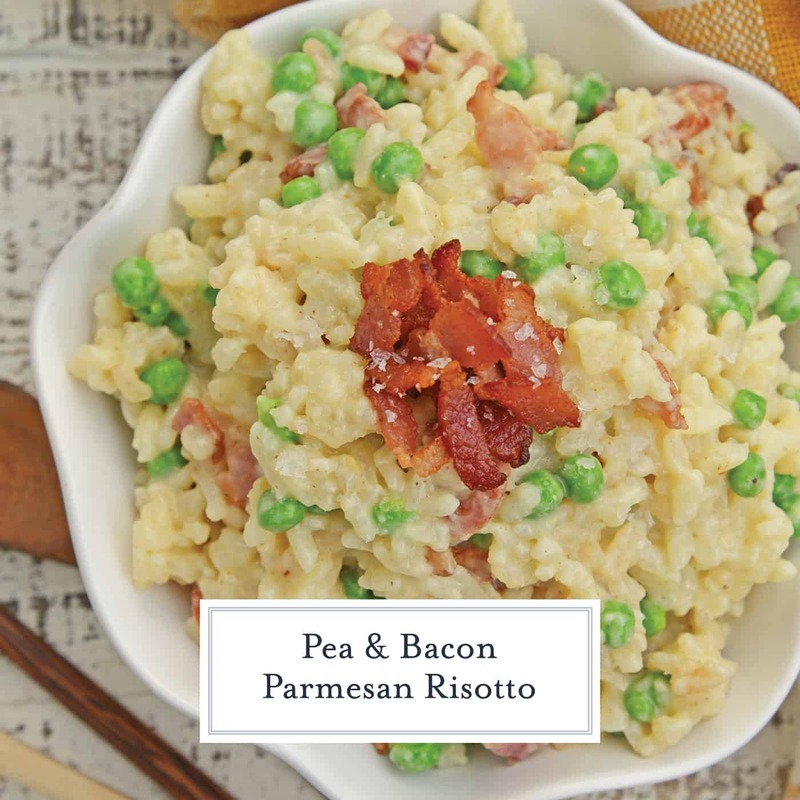 Creamy Parmesan Risotto takes the most traditional risotto recipe and adds vibrant peas and crispy bacon. Sauteed in rendered bacon fat, this rice packs a flavor punch! 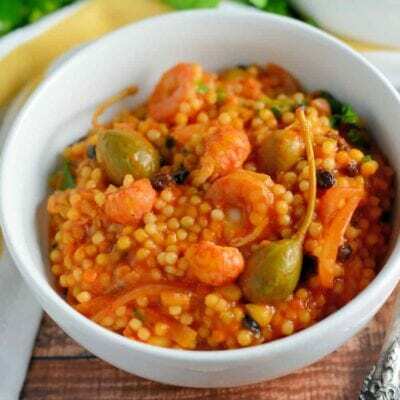 Risotto is an Italian dish made from a special type of rice called arborio. This short-grained rice is also used in rice pudding. 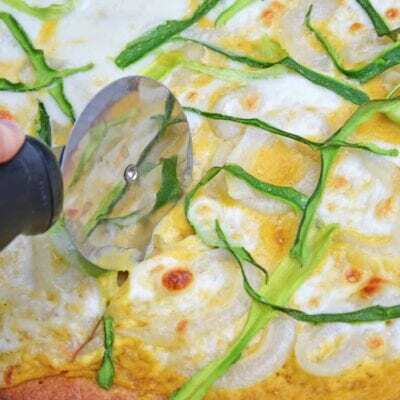 Arborio grains have a higher starch content, resulting in a firm grain (al dente) when cooked. 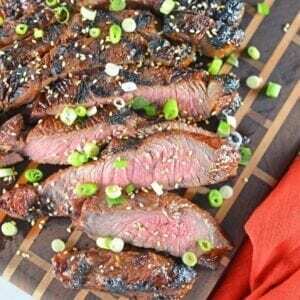 They can also absorb a lot more liquid than average rice and therefore a lot more flavor. Risotto is also unique in that starches that cook off result in a creamy, gravy-like sauce without using any cream. Even if you didn’t add any cheese, this risotto would still be creamy! Changing up the liquids in risotto changes the overall flavors, so I always use some sort of broth instead of plain water. You can also play with using cooking wine and any other liquid, like apple juice, you can dream up. 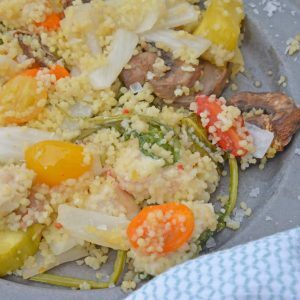 After making the basic rice any add-ins can be tossed in to add flavor, texture and color. On this date I use three items I had in the fridge: bacon, peas and shallots. To me, that is a winning combination for a delicious dish of risotto. Creamy Parmesan Risotto can be served as a side dish to any meal, not just Italian, or served as an entree. Personally, I like my risottos with seafood, as they are typically served in Italy. So giant grilled shrimp or even seared scallops, but you can add any protein you’d like. While risotto is a time consuming dish, it isn’t a hard dish to prepare. I invite you to check out my tips for perfect risotto before you get started to ensure you have the best risotto out there! If you liked this easy risotto recipe, check out some of my others! In a large skillet, cook bacon over medium-high heat until cooked, but not crispy, approximately 10 minutes. Using a slotted spoon, remove bacon while reserving bacon fat in pan. Add shallots and arborio rice, browning for 4-5 minutes. At the same time, bring 5 cups of chicken broth to a simmer over low heat in a separate saucepan. Ladle one cup of simmering broth into arborio and stir. Cook until absorbed. Continue to add 1 cup of simmering broth at a time, waiting until each addition is absorbed before adding the next, until all broth is gone. This process takes about 20-30 minutes. Add bacon, frozen peas and salt, cooking for 3-4 minutes until fully warmed. Lastly, stir in Parmesan cheese. Serve hot. 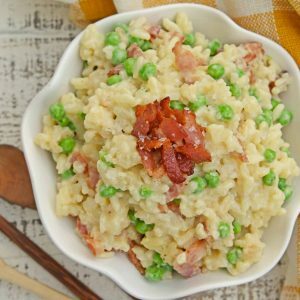 I had to pop back over here to jot down the ingredients to this wonderful pea and bacon risotto recipe! Making it this week! My family loves anything with peas!! 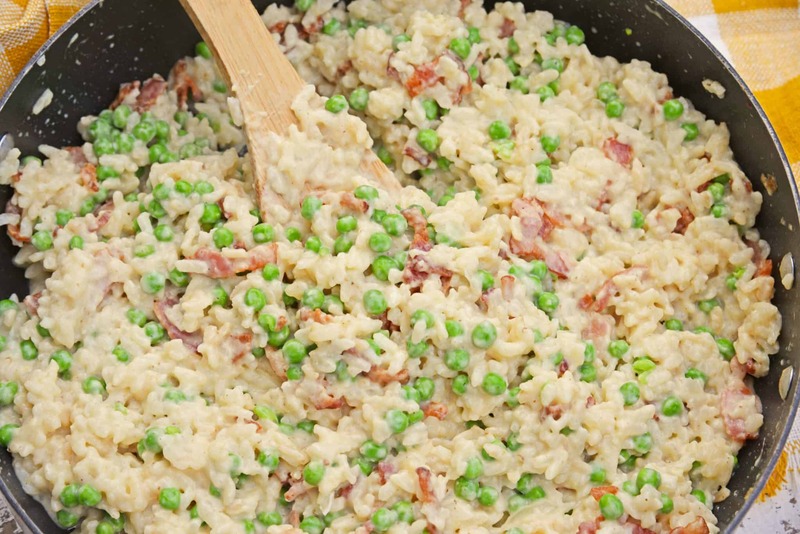 This risotto with peas and BACON!?!? Double BONUS!! 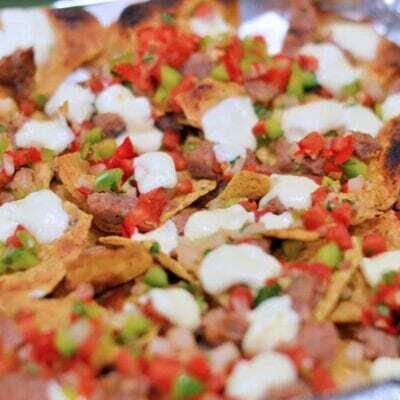 Thanks so much for the great recipe!! Risotto is one of my favorite dishes to make. 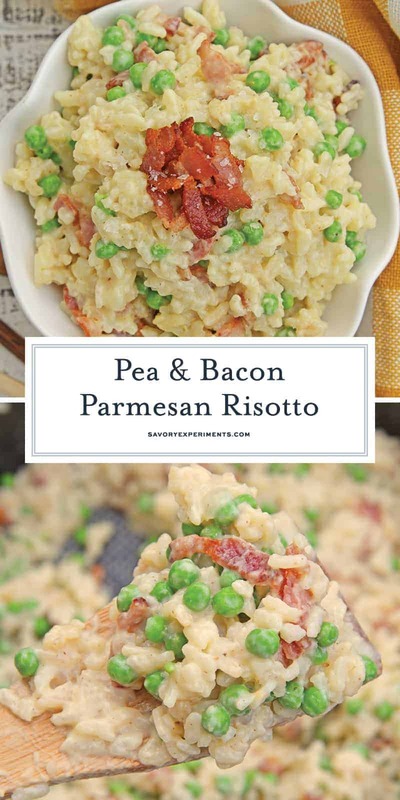 I will definitely try your pea and bacon risotto recipe, I’ve never added bacon in my risotto but I know it will be delicious with the peas. 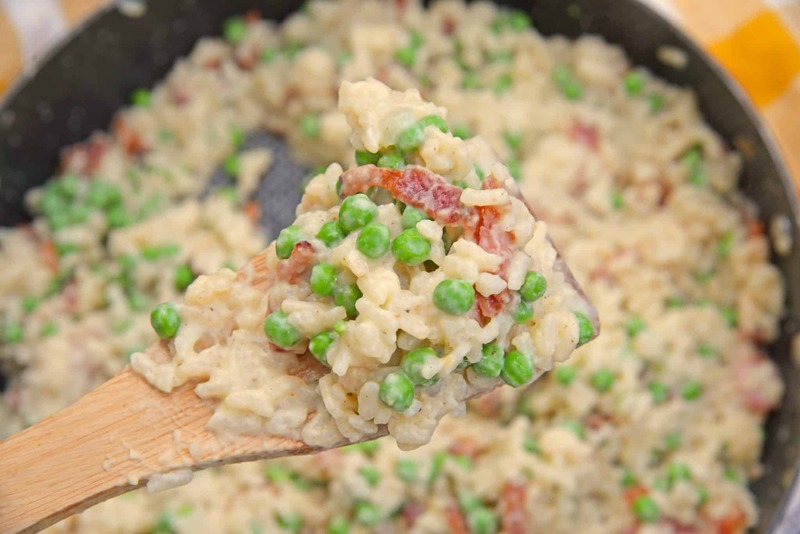 Pea and Bacon Risotto sounds delicious! I can not wait to try this!!! peas and bacon are SO good together! 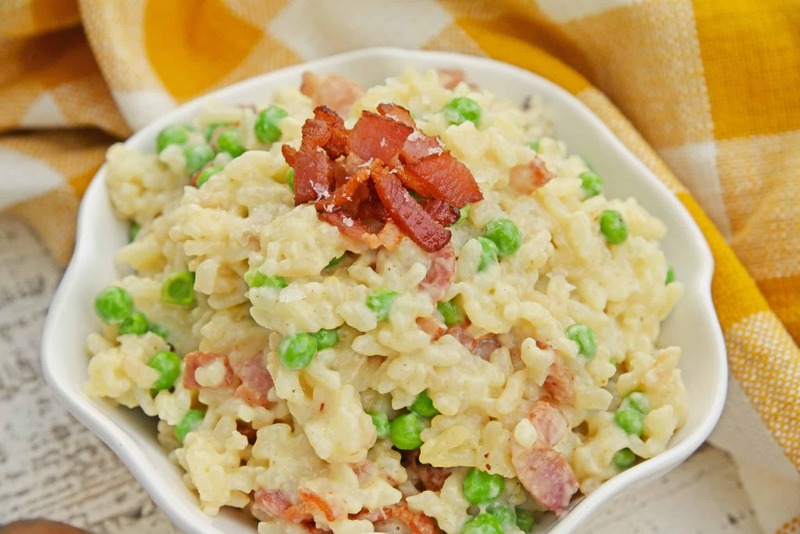 Love this risotto recipe! Thank you for the detailed information on how to make a risotto! After reading your instructions I feel like I can tackle a risotto with confidence! Great! Please let me know how it goes!